Creating joy begins when you give yourself permission to slow down, just for a moment, so that you can observe the happenings of your own world. The small things. The occurrences or thoughts that might otherwise go unnoticed, if you hadn’t given yourself the moment to pay attention. Even in our busy lives we have time to to invite mindfulness as the filter through which we view our day. Popping to the grocery store in the midst of several other chores, take notice of the smile on the face of a child who is helping his mom load the cart, or the elderly couple holding hands as they stroll the isles; when you walk into an office building, admire the flowers blooming brightly in the planter boxes; on the way back to your car, notice the sound of the birds singing from the trees; watch a sunrise or sunset, marveling at nature; walk alongside a stream; share a smooch with your sweetie…all of these everyday small details will bring you to joy. 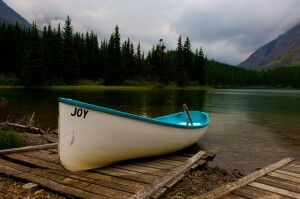 The more you invite joy, the more familiar this healthful emotion becomes to you. Your cup will be half-full. Your world will shine brightly. Your tensions will melt away. You will feel lighter, more patient, and more energetic. From a purely physical perspective, the inflammation that occurs in response to the hurry-up stress hormones will diminish; blood vessel soften, leading to lowered blood pressure; blood glucose levels become more balanced; and brain chemistry becomes less chaotic — all of this, just from giving yourself permission to slow down to experience joy. What is bringing you to joy today?